Increasing numbers of higher ed institutions require graduate students to submit electronic, rather than print, versions of their theses or dissertations. To make the process of submission and management of these electronic theses and dissertations (ETDs) more efficient, the Texas Digital Library host the Vireo ETD Submission and Management System, which addresses all steps of the ETD process, from submission to approval by the graduate office to publication in one or more institutional repositories. With Vireo, students submit their digital theses and dissertations via a simple online interface, while graduate offices can manage the ETD approval process behind the scenes. Institutions can also use Vireo to publish the ETDs in their TDL Institutional Repositories and the TDL Statewide ETD Repository, where they are readily available to other researchers. The Texas Digital Library, in close collaboration with Texas A&M University, provided initial development of Vireo and released it under an open source license in 2010. The TDL and members of the Vireo Users Group continue to oversee development of the application. Vireo provides a simple and intuitive interface through which students can submit their theses and dissertations online. Autofill capability for personal information to reduce typos. 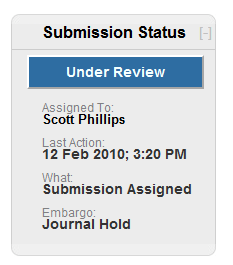 Embargo options for any document. Ability to send ETDs to UMI Dissertation Publishing. Vireo’s expert interface lets graduate school staff and librarians shepherd theses and dissertations through the entire ETD workflow, from submission to approval to publication in an institutional repository. Creating flexible workflows using customizable filters. Managing communications with all participants, including students, faculty advisers, and staff. The Vireo Users Group (VUG) guides the future development of the Vireo ETD Submission and Management System and provides a forum for mutual support among Vireo users. For more information about the Vireo Users Group, and for instructions on joining the VUG email list, visit the Vireo Users Group website. How do I start using Vireo? The TDL hosts Vireo for its consortial members and continues active development on the software. To find out more about membership opportunities, please see the Membership section of our Web site. If you are a member of the Texas Digital Library and want to deploy Vireo at your institution, please contact the TDL staff to get started. Vireo is also freely available for download under an open-source license. Want to know more about Vireo? For an introduction to Vireo, please download this brief presentation with screen shots of the Vireo system: Introduction to Vireo. Learn more about the Vireo Users Group on its website. Check out Vireo end user documentation. Vireo was developed initially with grant funding from the Institute of Museum and Library Services. Find out more about the grant here.